Students at Antioch Community High School wore purple Monday to honor the life of a 14-year-old girl who was killed when a small plane piloted by her father went down in a Wisconsin cornfield a day earlier. "It's a somber kind of feeling. It's quiet in the hallways. You see a lot of students with tears in their eyes," said principal John Whitehurst. Federal Aviation Administration officials said Todd Parfitt was trying to land his single-engine, two-seat aircraft when it went down in a cornfield in Burlington, Wis., about 20 miles north of Antioch. Freshman Nicole Parfitt and her father, Todd Parfitt, were killed. Family members were too distraught Monday to comment, but issued a statement saying they were "saddened beyond words." "We are devastated and saddened beyond words over the loss of a loving and dedicated husband and father, Todd, and a beautiful and endearing fourteen year old girl who was loved by all who knew here, Nicole. We ask for your prayers and that you respect our family's need for privacy at this time of great sorrow. The family will have no further comment at this time." Nicole Parfitt was a member of the school's dance team, and students said she had a lot of friends. Friends posted a tribute video to the teen on YouTube and a Facebook page was created for the family so well-wishes could be posted. The National Transportation Safety Board is heading up the investigation. Due to the Thanksgiving holiday, a preliminary report on the crash will likely not be available until next week. 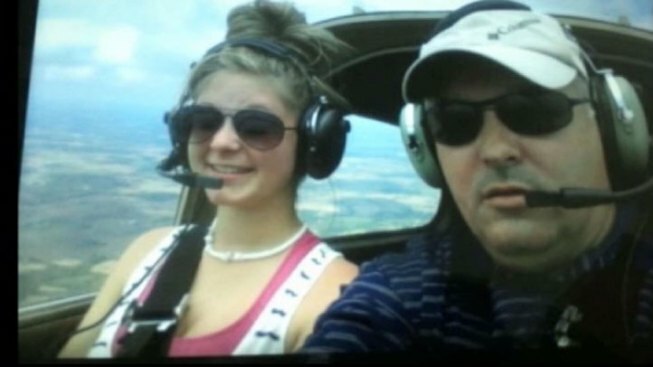 Todd Parfitt's family members said he was an experienced pilot.